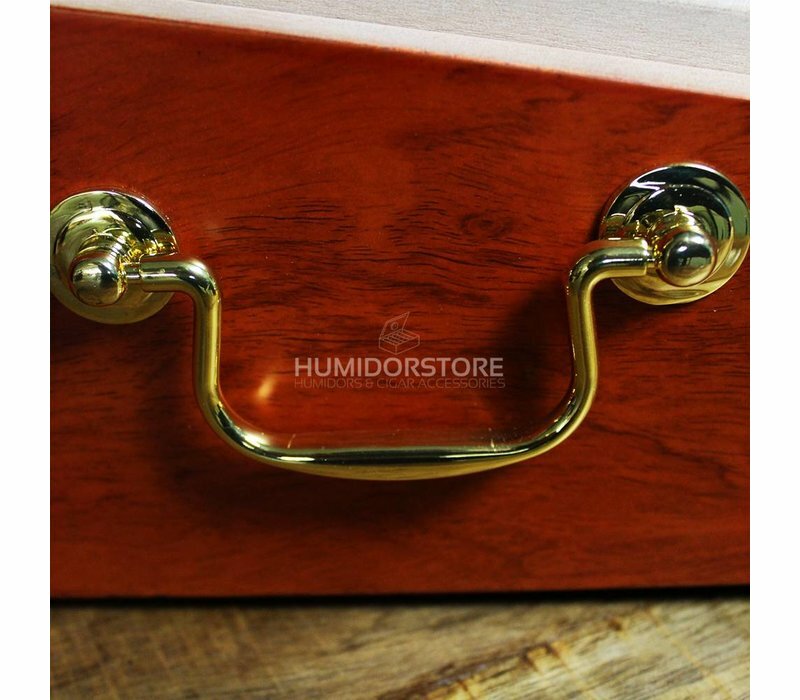 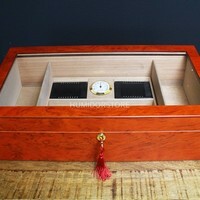 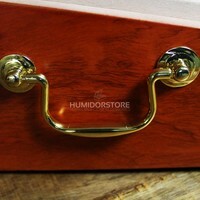 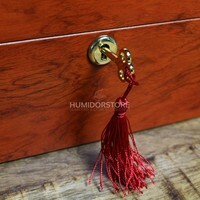 Our humidor Darwin is a very large and luxurious humidor and handmade out of the best materials. 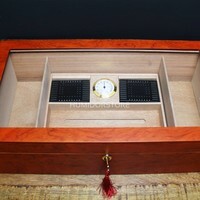 The exterior is made of cherry wood with a beautiful soft light color and the inside is made of Spanish cedar wood. 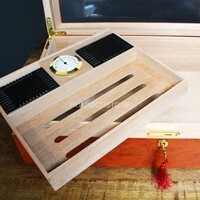 Our humidor Darwin is a very large and luxurious humidor and handmade out of the best materials. The exterior is made of cherry wood with a beautiful soft light color and the inside is made of Spanish cedar wood. 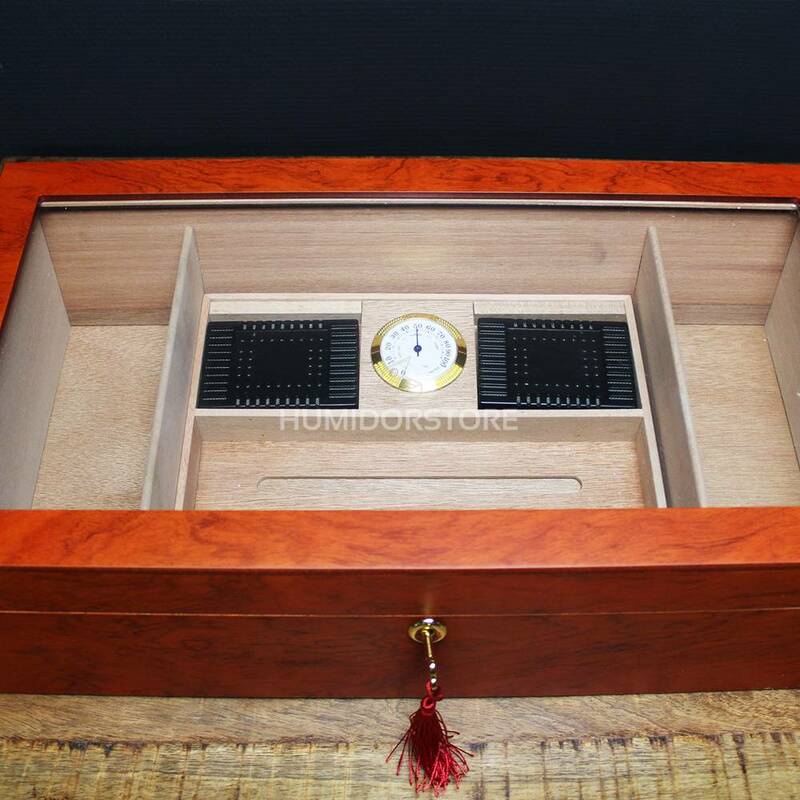 In order to see your precious cigars immediately and without opening the lid every time, the Darwin has a large glass window build in, which presents the content in a beautiful way. 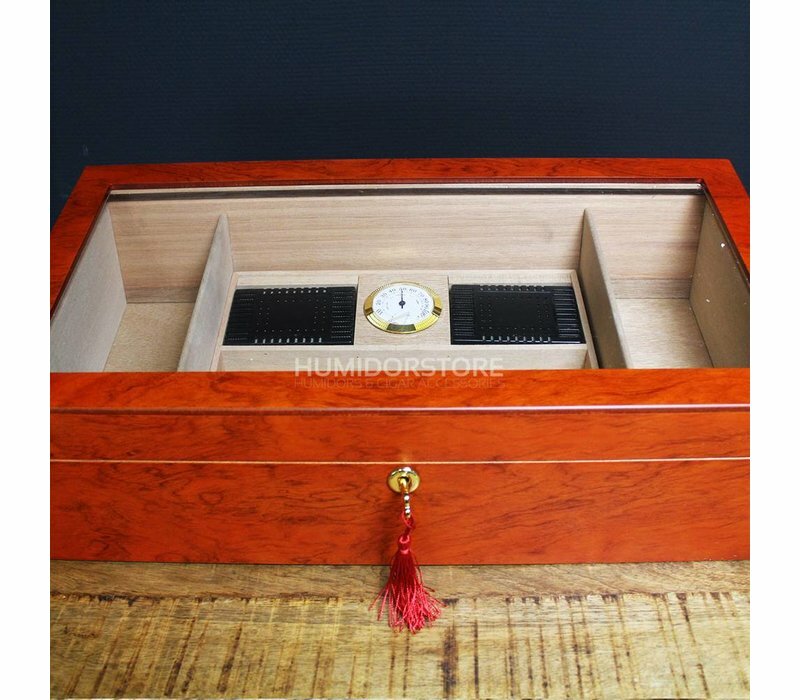 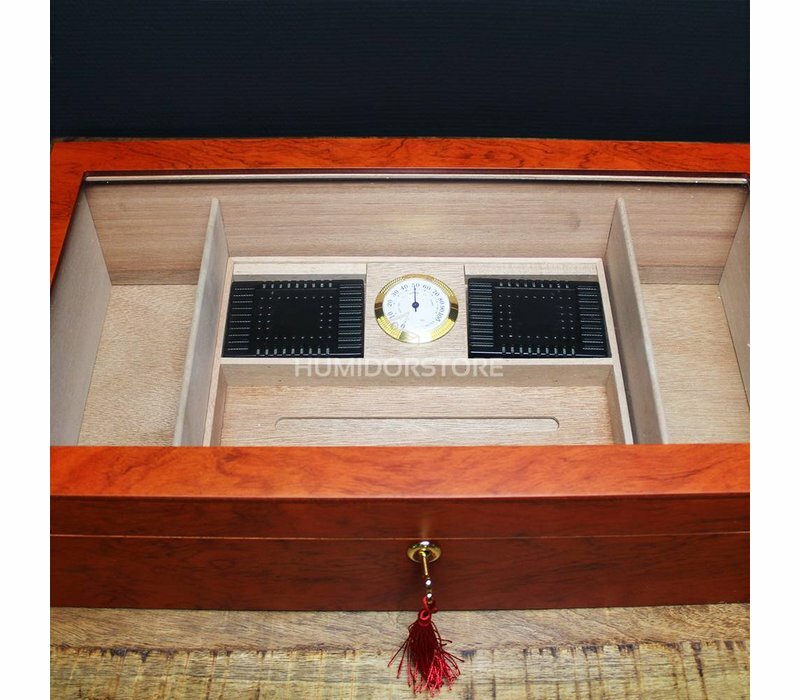 This humidor has several compartments, in which you can store your cigars. 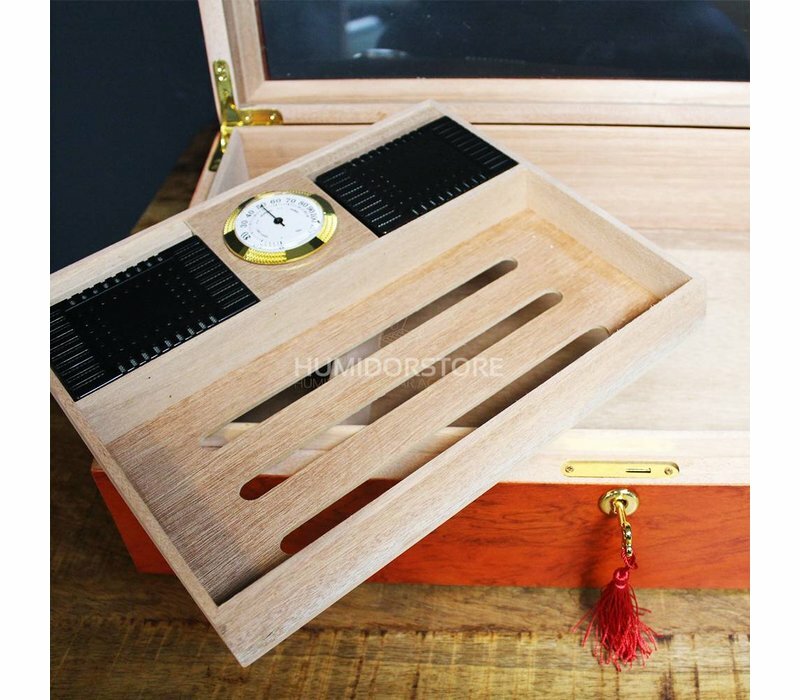 Through small openings in the interior, it creates a perfect airflow around your cigars to keep them in the best condition. 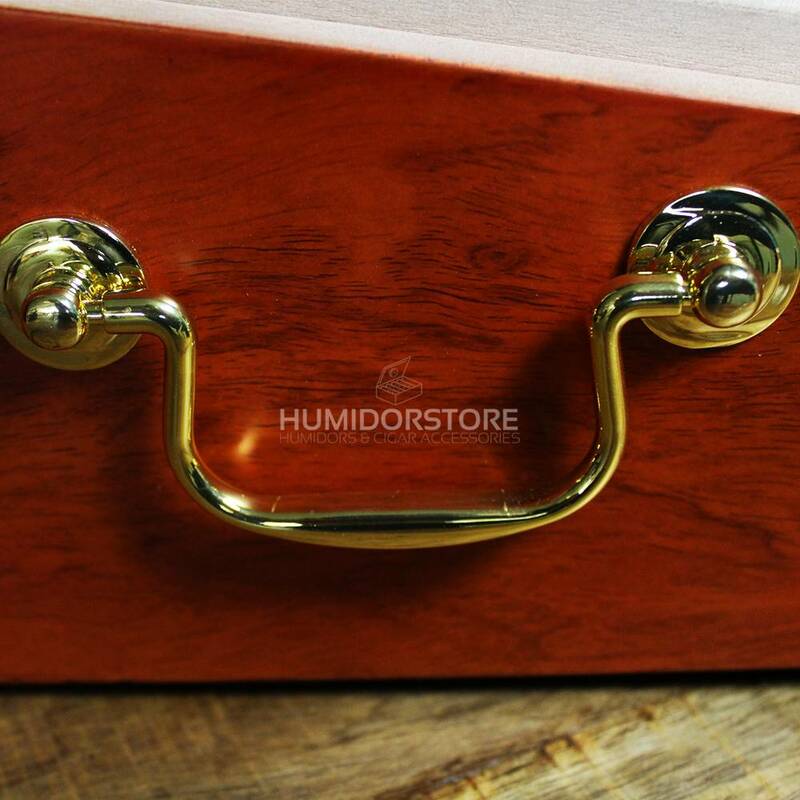 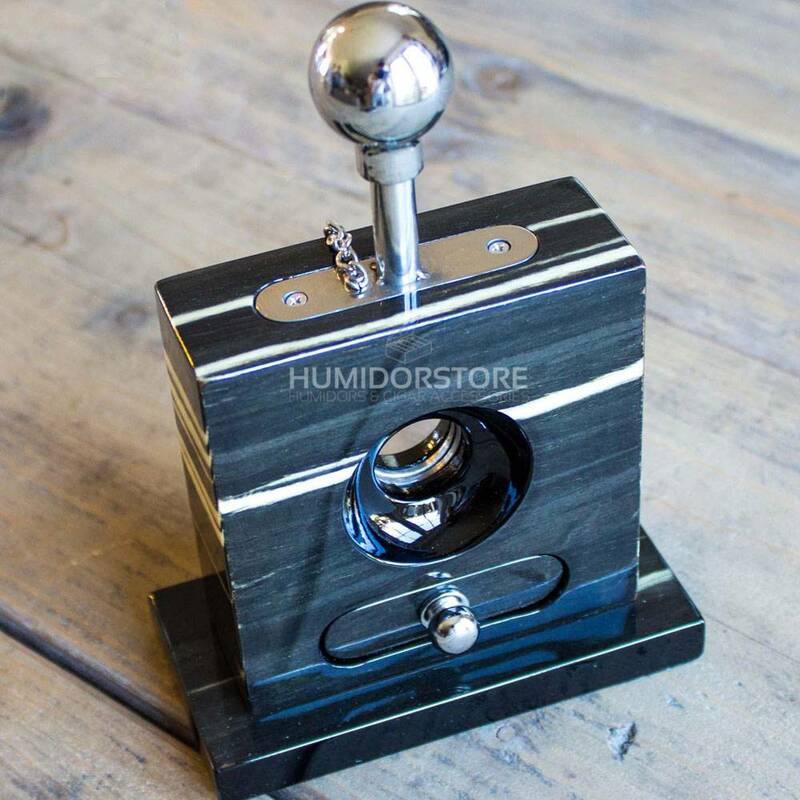 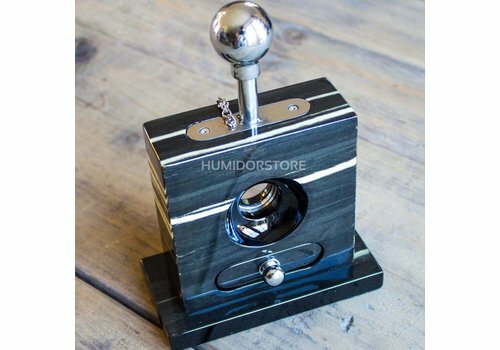 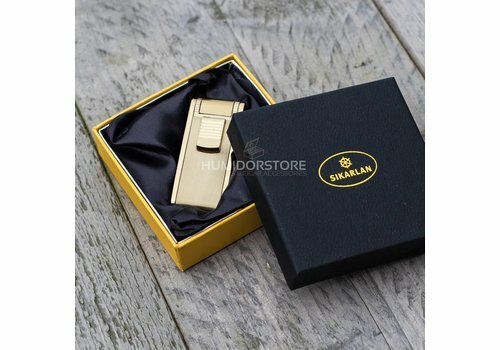 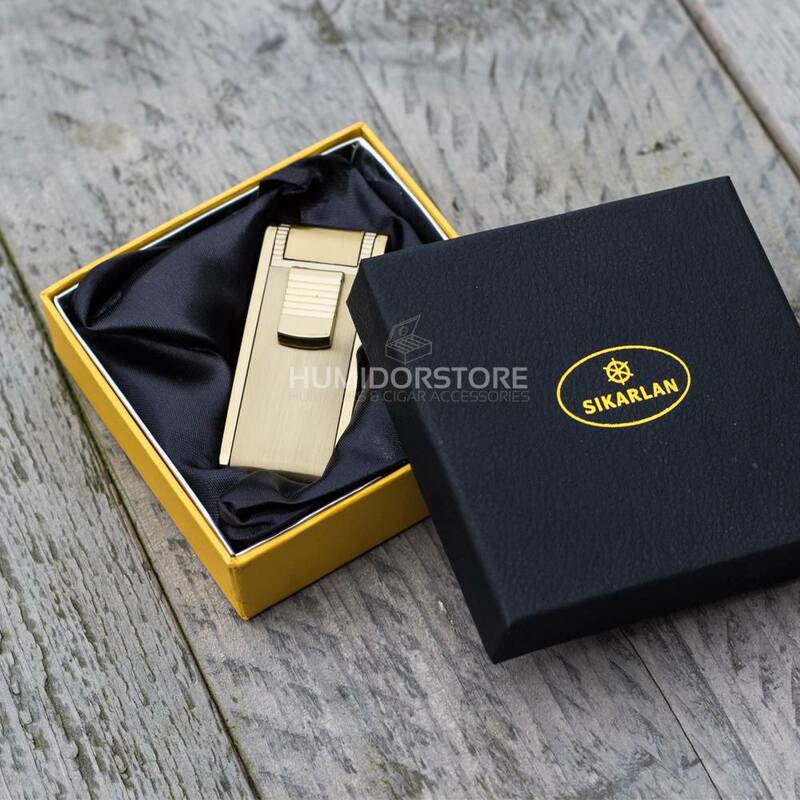 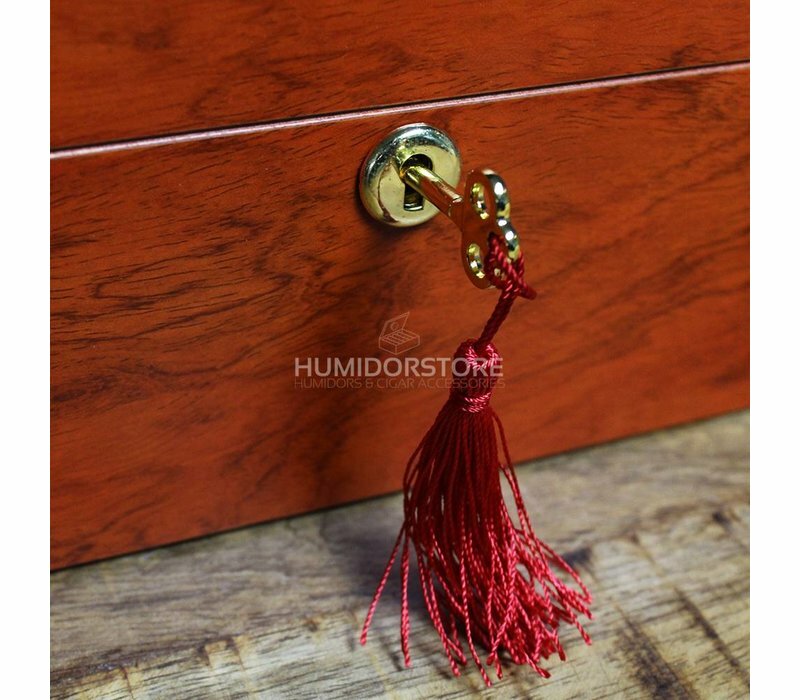 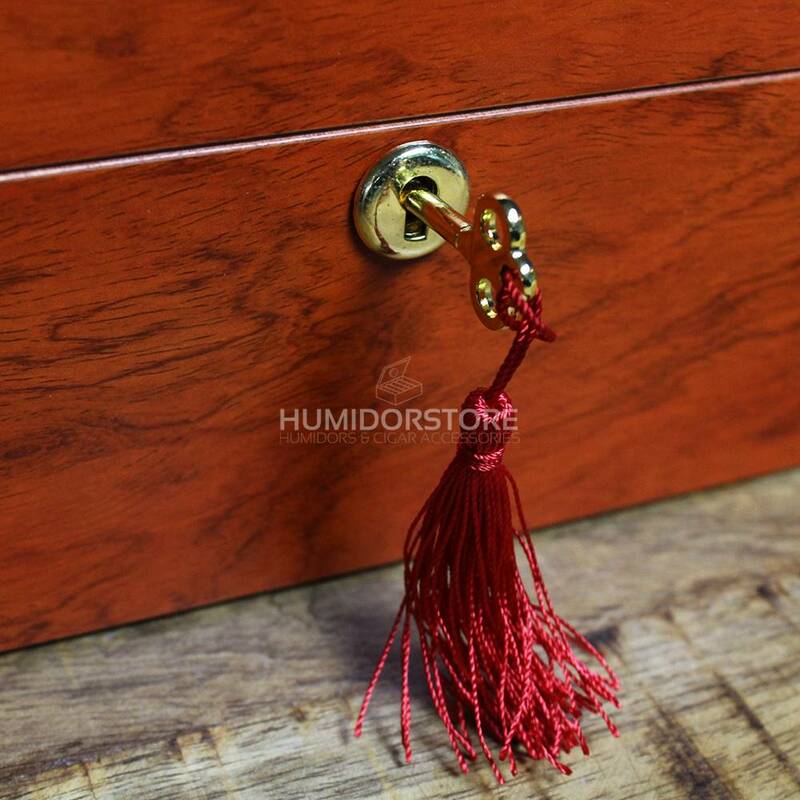 Furthermore, the Darwin has two handles on the outside to easily move it around and in addition to that, it can also be closed with a key to keep your precious cigars safe from forbidden access. The Darwin comes complete with two humidifiers and one hygrometer and has a clever closing mechanism with the recessed hinge design, to keep your cigars in perfect condition.